In anticipation of an upcoming craft/art show, I’ve been sewing like a mad woman. 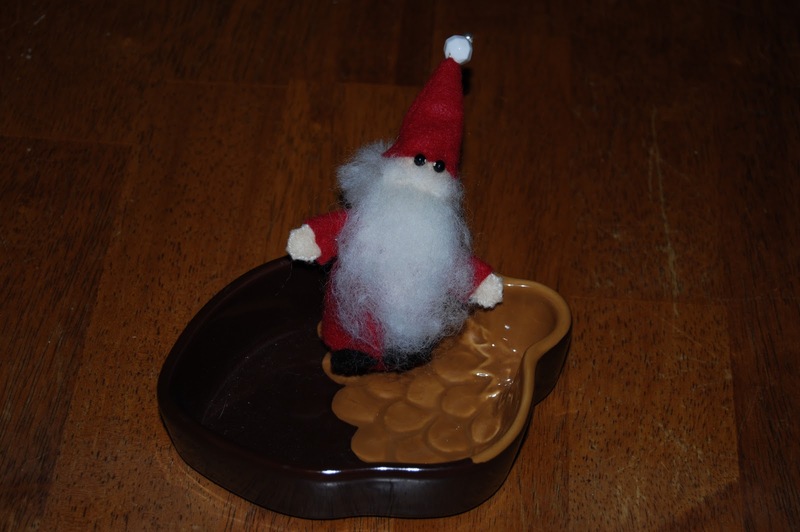 Some of my creations aren’t done yet, so I’ve not bothered to photograph them. I have three large dolls in the works. One is nearly done. She just needs shoes. 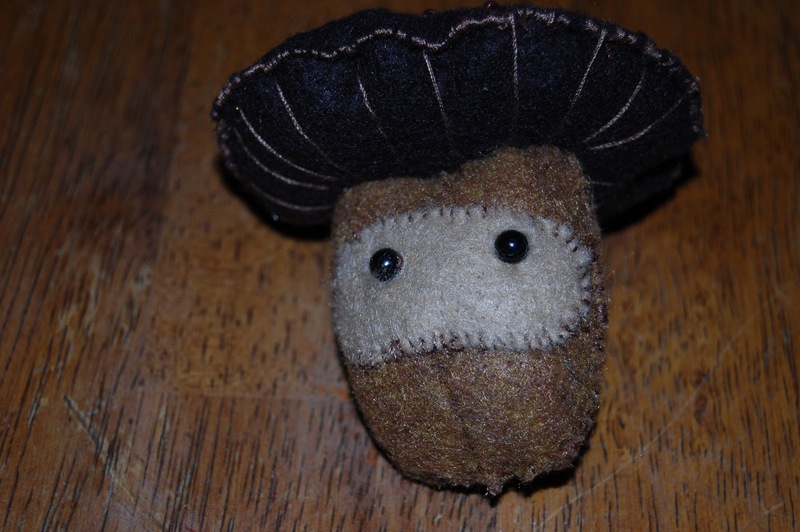 I felted some grapes for the second. They need leaves and vines. 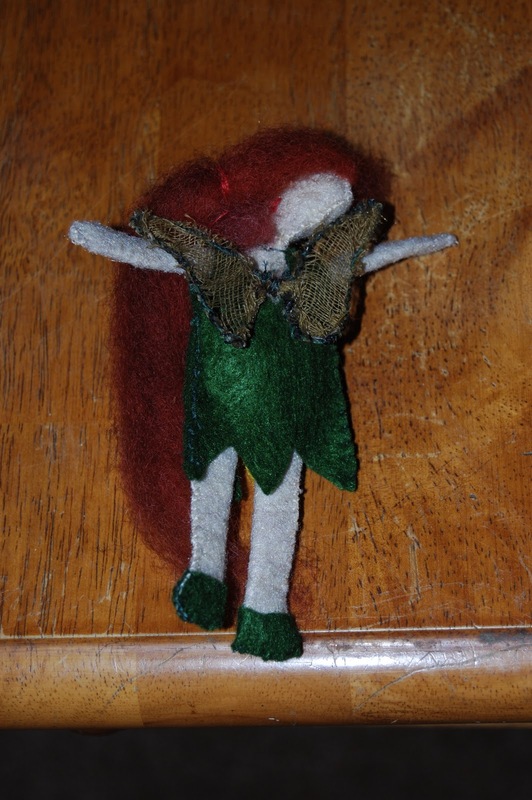 Then she needs hair, clothing, and wings. The third doll is, as I like to say, gestating. Her body parts are in various stages of development. She’s currently in a bag. I hope to work on her while visiting my family this week. 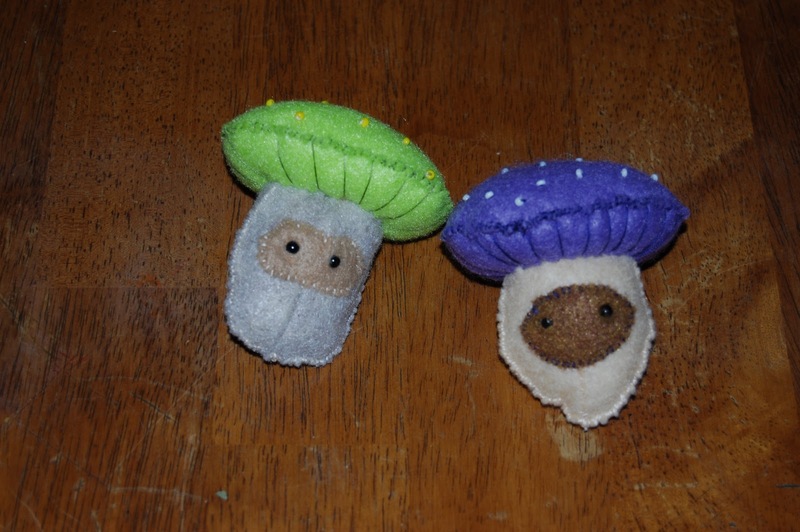 I have made several little things. Check ’em out! 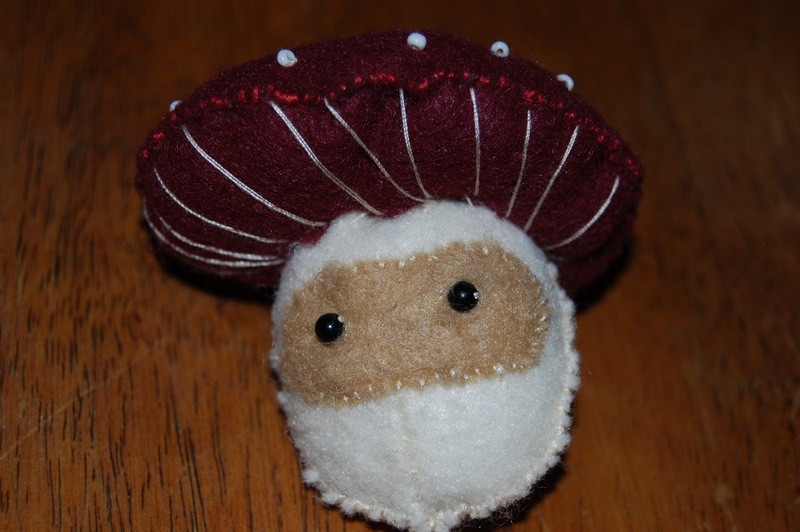 Meet the mushroom spirit! The tree spirits were feeling lonely and wanted some fun guys to play with! (Yuck yuck yuck!) Like most people, I have this aesthetic attraction to amanita muscaria – fly agaric. They are full of whimsy and magic. Many people still use them for hedgecrossing and other trance work. What magically inclined person wouldn’t want one of these little guys hanging around? 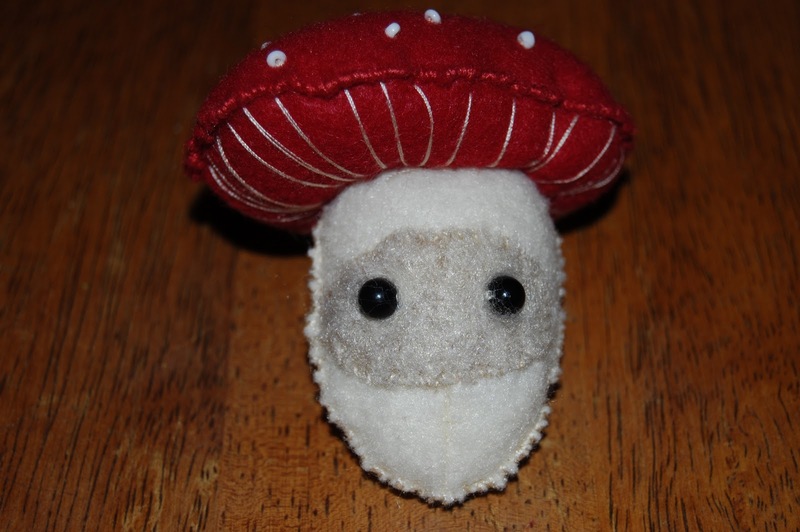 Here’s the amanita formosa variety of fly agaric. I’m quite fond of them because they’re in my back yard! 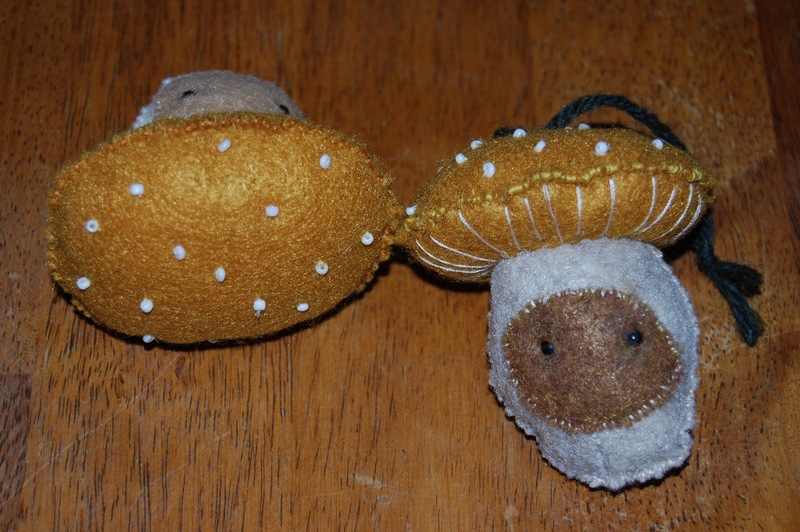 Some “psychedelic mushrooms.” I need to attach string to some of them… I think they make cute ornaments. 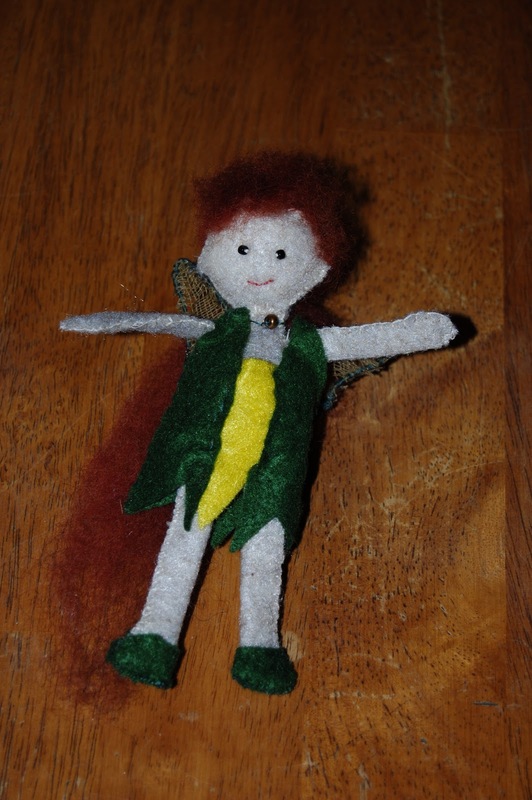 Finally, a wee fairy. I also plan to add a string to her. She would look lovely on a Yule tree! They’re kind of hard to see, but here are her wings.